← Why is the zodiac sign of Virgo called the virgin? This entry was posted in Chiron and tagged Astrology, Centre for Psychological Astrology, Chiron, Liz Greene, Moondark, Pisces New Moon. Bookmark the permalink. Thanks for your thoughts on Chiron. I will be having Chiron transiting over my 29 Pisces Sun soon. What I find most interesting is that I will also be having my Saturn return, transiting Uranus on my MH conjunct Venus 29 Aries. Chiron is suppose to be the bridge between Saturn and Uranus and I seem to be getting conjunctions from both planets at the same time. Later in the year, I also get my Jupiter return in Sag. hope that’s my reserection. So far, when Chiron hit 28 last year, I had multiple trips to the ER with my husband for Kidney stones. They are still an ongoing issue, he just had laser surgery for the other side. The surgery was exact on the first of my 3 Saturn conjunctions this year. During his trips to the ER last year, he was having Saturn conjunct his 21 Sag Sun. The only wide conjunction I have in my splash chart is Moon/Chiron in Aquarius. I certainly felt the South Node transit over this placement in the last few months as feeling sentimental about my past. Transiting Chiron in Pisces has left me feeling quite weepy about the trashing of the Earth’s natural environment. It is currently in my 6th house and it certainly has had a deep effect on my work environment as I have been feeling wounded in that just about everything has crashed. Chiron in Pisces is just so sensitive to me and sometimes it feels overwhelming. Luckily my health has been fairly decent, though, and for that I am very grateful. This is such inspiring feedback, Donna. Many thanks! My Chiron is in Pisces…yep..my 12th house. Hanging out with my rising sign! Chiron is in my 2nd House; now I understand why I studied psychology and therapy. And I made the decision to make a career of it when I was 50. What an interesting angle on Chiron, Emilie, once again supporting my own observations that some people simply don’t connect with this energy. I am most interested in what you have said here: “…I also have a feeling that Chiron seems to be more significant for generations pre 1977 and/or for those who perhaps are of a more Saturnine type and struggle with the energies of Uranus…” I must reflect on this point, and talk to some colleagues to get their perspectives on what you say. Maybe this is food for a later post… Thank you! Thank you for inviting readers to respond. I could say much about what Chiron means to me but I will set a few boundaries to contain an inherent tendency to ascend into a spiritually-sensitive discourse (an expression of my natal Saturn-Neptune conjunction). I find great personal comfort in the mythology of Chiron – abandoned by his mother and fostered by the solar god, Apollo – the symbolism of taking my wounding to the Sun’s light – described by Liz Greene as the ‘light-bringer’, and ‘breaker of family curses’, one of many of the Sun’s functions. My Chiron is the teacher as an archetype of healer. Natally, Chiron opposes Uranus in an 8th house which is governed by a Moon-Sun conjunction in Aquarius. In my chart the Moon reflects all the dark secrets of the matrilineal line along which my perception of abandonment has continued to open deeply sensitive wounds from childhood to adulthood to elderhood. My husband died suddenly and unexpectedly at my Chiron Return in the staunch sign of Capricorn, the sure-footed mountain goat which never falls. Because of my personal circumstances at the time, I dared not put a foot wrong, I could not fall in my climb higher to find a safe place. This was an extremely challenging time in my life when I progressed slowly through harsh self-discipline and exhaustive hard work; dealing with this wounding had to be kept under strict control in the material world. The pain of childhood experiences – the incomprehensible – that raw sense of abandonment etched in vivid old memories quickly surfaced to stare me in the face, and which at times seemed life-denying. It was a time, as you describe Anne, when my whole horoscope’s Chiron aspects were triggered. My daughter, an only child, left home to study at university on the other side of the world when my transiting Chiron was moving through Pisces. For a while I struggled along that old familiar path, yet the teachings of Chiron in compassionate Pisces gently opened me up to the truth that my ancestral and familial wounding was not my fault. My healing journey had finally begun through acceptance. Teaching others how to heal is one of Chiron’s greatest gifts. Last year I was on a train from Edinburgh to Bristol when a young man who had boarded at Newcastle sat beside me and asked if he could charge his phone from my laptop to make an urgent phone call. He could have taken a seat next to any of several other passengers close by who also had laptops – but he sat next to me. This young man would have been aged in his mid twenties and first appeared uncomfortably flustered and emotionally distracted. After a few casual words together he suddenly apologised for his appearance and began to tell me of an unpleasant experience which had to do with a situation he found himself in the previous night, and for which he was extremely remorseful and took complete responsibility. He had been summoned to Birmingham to be confronted by his organisation’s management which he felt certain represented the termination of his employment. Throughout the journey he willingly spoke of the fear of losing his job at a critical time in his life when he felt vulnerable and isolated. At some point our conversation turned to me when I began to speak of a number of my own challenging experiences as a young woman many years ago; he listened intently. The train began slowing on its arrival into Birmingham station and he stood to leave. I wished him well and said that I hoped the outcome of the meeting would be positive. We shook hands and he began to move out when he stopped and turned to quickly say ‘thank you for teaching me today – you have eased my pain.’ And then he was gone. To me this was another experience of taking my own wounding to the Sun’s light. All the best Anne . . . . . .
Are these archives? Not sure what you mean. I’ve been trying to leave you a reply which is an edited and extended version of my original reply – but it has kept vanishing! Sorry to have caused you confusion, hope this version is clearer and that you enjoy the Jupiter Cycles article. Thanks, Mo, for this ‘ouchy’ feedback! That Jupiter Return in Sagittarius should be a welcoming relief – check back to when you were 47/8 years old, then 35/6 and then 23/4, the last three times when Jupiter returned to its own place and a new Jupiter cycle began: if you can detect a theme arising at those ages, which is the point where a new 11-12 year Jupiter cycle begins, reflecting on this should help you to to get a handle on what the core Jupiterian themes are likely to be at the 59/60 Jupiter cycle, which co-incides in time with the second Saturn Return. I’m not sure what those numbers stand for. Are they archives? Hi Mo, I’ve now updated my reply with a fuller explanation – and added a link to an article I wrote on the Jupiter Cycles. Hope this helps! While reading this, it dawned on me that someone I know will have transiting Chiron conjunct their moon after their Chiron return, and their mother might die when this transit happens, not sure if I should tell them or how to counsel them thru this? I’m welcome to hear anyone’s thoughts. Also I have Chiron 07° Leo in the 7th house, so I’ll get a trine transit, wondering how to prepare for this? In the meantime, a short answer: our ancient basic guideline is still: ‘Do no harm’. We can describe clearly to our clients the essence of a planetary combination eg Chiron/Moon by transit: but the branches which arise from that core essence are many and varied although all tie back to the core theme/s. So we are not in any position to select one branch and offer it to the client as a possibility if it is something which may raise fear/be undermining or damaging. Hi again Sellieve, re your question about yourself: I do not think that comment threads are a constructive place in which to discuss sensitive personal matters in any depth so I don’t do that here. I think if you are really concerned, you should book a consultation ( save up if need be – it is worth it to consult with someone experienced, competent and with some experience of working with their own issues) – or as an astrologer yourself, live through the transit and learn from it. Astrological knowledge is a double edged gift for those of us who practice it, since we project our own hopes and fears – some of them unconscious – onto our transits and progressions, and can never know how those projections may influence the actual outcomes….but observing our own reactions to upcoming challenges of a symbolic nature, and learning from that, is in my view an important part of our training to be effective, realistic and compassionate practitioners. Chiron is becoming a more significant point in the charts I read. I always analyze its aspects in the initial chart reading now. If tightly hooked up, it can represent deep compassion, or despair, over the “human condition”. In some charts, it doesn’t factor at all. But I’ve been presented with many charts in the past year, with tight Chiron aspects. Mine is within 2 degrees of a dynamic IC. Ergo, my passion for human psychology ? Yes, in all probability, Moira. and I do think that as our own chart patterns become activated by transits and progressions, we tend to draw clients to us who are dealing with similar stuff…this perhaps accounts at least partly for your increasing focus on Chiron in clients’ charts. I have 23 degrees of Aquarius Rising. Piled up in my twelfth house are Pholus, Mercury, Chiron and Pallas at, respectively, 6, 7, 8 and 9 degrees of Aquarius. I’m also a first-house Pisces Sun. My Chiron Return was in 2006. Ever since 2000, when Neptune started transiting over this lot, I’ve been talking to the Other Side. It has been alternatively wonderful and horrible. My understanding of the Universal Mind and Will have expanded greatly. But, this is the first time I’ve ever mentioned it to anyone, for obvious reasons. Once you start down this road, there’s no going back. I think this placement for me, this life time has forced me to really become more engaged with spirit and the divine. I have felt the real knowing that…we are all part of the divine plan and living it out everyday. That I am stronger than I think. That my faith and my ability to surrender to the divine and ask for help when needed from God/Spirit/Universe etc…angelic realm…is there for me always. I have learned to have true faith. Through some very difficult trials…I have grown closer to the divine. – Chiron has just transited my ascendant and I feel the outsider is there for all to see. 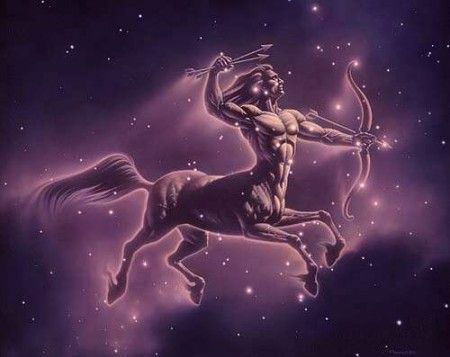 However, I agree that Chiron brings great reserves of courage. He was Jason’s (and the Argonauts) teacher and I’m sure courage is part of the story. This post has attracted a great deal of interest; people have been very open and honest in sharing their varying experiences of Chiron: I am very appreciative and grateful for that openness – it’s the way we all learn. I have shared a selection of comments and answers from my Facebook Page, so that readers who are not on Facebook can have access to them. There are many more comments with my responses over on the Facebook Page companion to this blog: do drop over there if you’d like to read them – AND a selection of interesting posts from quality astrologers across the Web! I feel that many people don’t relate to Chiron in their birth charts simply because the true essence of Chiron is difficult to grasp. Keywords like “wounding and healing” are just entry level keywords really, and don’t even begin to describe the full essence of what Chiron is about. By personally observing Chiron in many people’s charts, one thing I have noticed about Chiron is that he represents inter-dimensional communication: that is, the communication that goes on between the many different and additional dimensions that exist as well as this earthly one that we find ourselves in. An example of this would be Christ (note the letters Chi). Christ was an amazing healer, yet he was (greviously) wounded. But that was just a physical wound. Perhaps his biggest wound was spiritual in nature: he was forsaken by the people that he healed, loved and showed so much compassion for, and for a moment there he even thought he had been forsaken by “the father”. But Christ was about so much more than just wounding and healing. He meditated a lot, and would go up into the hills often to ‘communicate’ with “the father”, who occupied all the dimensions simultaneously. He spent a lot of time cruising around and preaching about these other dimensions, which personally I have no doubt exist. He was also an ‘alternative’ healer, and he certainly was a ‘maverick’. There is so much more to learn about Chiron.